A dental crown is used to entirely cover or “cap” a damaged tooth. Besides strengthening a damaged tooth, a crown is also used to improve its appearance, shape or alignment. It may be placed on top of a dental implant to provide a tooth-like shape and structure for function. 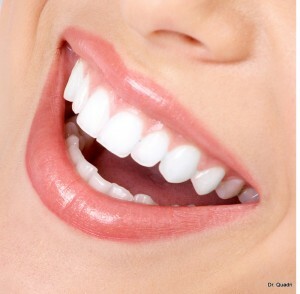 There are porcelain or ceramic crowns that can be matched to the color of your natural teeth. Some dental crowns are made in gold and metal alloys, acrylic and ceramic. Metal alloys are perceived to be stronger than porcelain and is usually recommended for back teeth. However, porcelain bonded to a metal shell is often used because the tandem is both strong and attractive. Palm Bay dentist, Dr. Quadri has a variety of conservative treatment options through which to restore your damaged teeth. You can call our Palm Bay General Dentistry and discuss these options with Dr. Quadri before selecting the full coverage dental crown treatment to ensure that it is the best option for you.